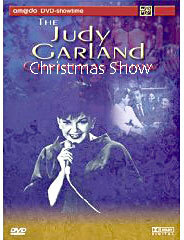 What are the elements for a festive Christmas party? 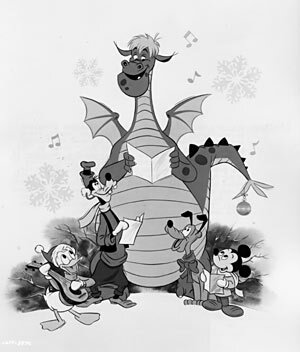 Old friends and new, songs and music, holiday cards and memories... well, one unforgettable episode of Walt Disney's anthology TV series had all that and much more! 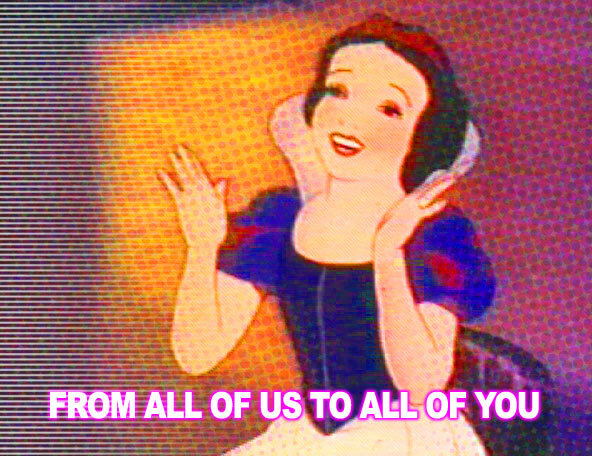 Glowing like a color console yule log and glistening not with tinsel but with animated delights, "From All of Us to All of You" was a not-quite-annual Yuletide TV gift, Disney style. 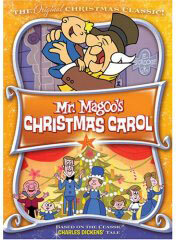 Though many animated specials celebrated Christmas, this special-like 1958 episode of the Disney TV hour (popularly known as The Wonderful World of Disney) predated those cartoon extravaganzas by years (the first, Mr. Magoo's Christmas Carol, debuted in 1962, while A Charlie Brown Christmas premiered in 1965). 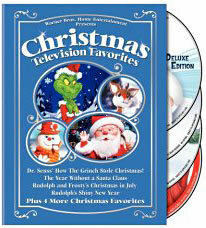 This specially-produced Disney program was the first to bring newly-produced, prime-time animated Christmas festivities to the electronic hearth. 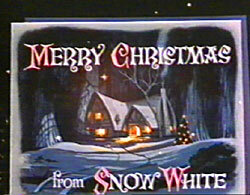 Famously the first Hollywood studio head to enter the new and threatening medium of television, Walt Disney produced two holiday specials as his inaugural broadcasts: One Hour in Wonderland (NBC, 1950, shown on Christmas Day) and The Walt Disney Christmas Show (CBS, 1951, also broadcast on December 25). 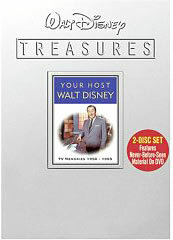 Once his weekly series premiered, Walt usually presented something special during the holidays. 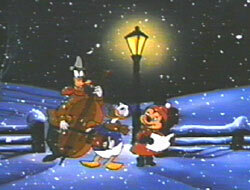 This TV holiday jamboree was directed by Jack Hannah (director of many of Donald Duck's theatrical cartoons), with story by Al Bertino (a story artist for the Disney shorts throughout the 1950s, and later an Imagineer who was the portly inspiration for Big Al of Walt Disney World's Country Bear Jamboree) and Dave Deteige (story artist on many Hannah-directed cartoons of the 1950s, and who was also married to Walt Disney's wife's niece). 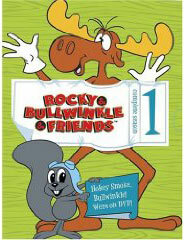 New animation was created especially for the show, created by an animation team including Les Clark, a member of Walt's elite team he affectionately nicknamed "Nine Old Men." 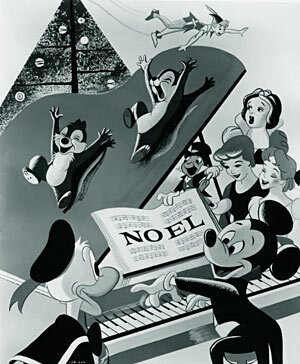 In introducing the show, Walt Disney explained that this "Christmas party" was to be put on by "our cartoon critters" - who to the audience were much more real than the mostly unknown artists who created them. Walt (magically appearing, as he put it, "cricket-sized," on a cozy fireplace mantel) does take the time to wish home viewers "on behalf of the human members of our staff" a happy Christmas. Walt then turns the rest of the show over to his animated characters, and in fact, this holiday party is so festooned with Christmas treats that it boasts three cartoon hosts: Mickey Mouse, Tinker Bell (the traditional hostess of the Disney TV hour) and Jiminy Cricket. Truth to tell, Miss Tink (as Walt called her) only flies in occasionally to wave her wand and transition to another scene or clip, and Mickey is around only as a one-Mouse band to instrumentally perform the episode's theme song, playing the piano, the trumpet and the drums (though not at the same time). So the hosting duties really rest on the small shoulders of Jiminy. Chatty as always, folksy Jiminy talks enough for all three of the hosts as he sings, ushers in other characters and introduces greetings from the Disney gang. 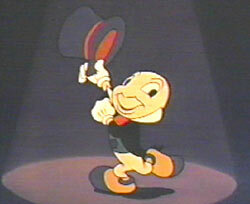 This happy-go-lucky insect had of course made his debut in Pinocchio (1940) as the little wooden head's conscience. A great deal of the Cricket's appeal came from Jiminy's one-of-a-kind voice, Cliff Edwards. Also known as "Ukulele Ike," Edwards was a vocalist with an incredible three-octave singing voice. One of the first recording stars, reportedly selling some 74 million records, Edwards was also a character actor with a folksy yet snappy speaking voice that jived perfectly with Jiminy's jaunty personality (and in fact, helped inspire it). 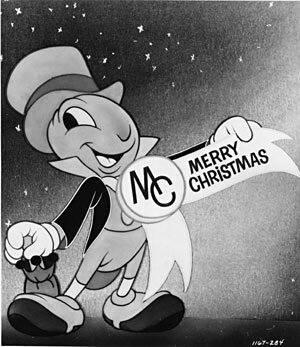 With his warm, lilting voice and his knowledgeable yet down-to-earth personality, Jiminy made a natural master of ceremonies so - in addition to his entertainingly educational spots on The Mickey Mouse Club - the Cricket emceed several episodes of Disney's hour-long series, starting with 1955's "Jiminy Cricket Presents Bongo." In "From All of Us to All of You," the top-hatted Cricket starts off his hosting gig by singing a lively version of the episode's title song, truly one of the highlights of the show. 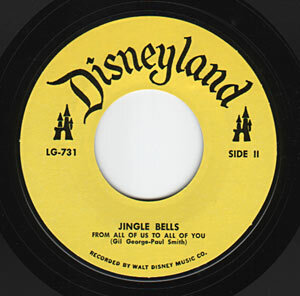 Composed especially for the occasion by frequent Disney lyricist Gil George (the pen name for the Disney Studio's nurse, Hazel George) and veteran Disney composer Paul Smith (an Oscar-winner for his scoring of Pinocchio), the "From All of Us to All of You" song was released on the Disneyland record label in 1958, the same year the episode aired, was the B side of a 1961 "Jingle Bells" 45 single, and was showcased on the Walt Disney's Wonderful World of Color LP in 1963. Many have tried and failed to compose a Christmas song that can stand alongside the classics, but "From All of Us to All of You" is definitely one of the successes. Its simple yet joyful "season's greetings" message is matched with a very Christmasy feeling, coupled with a folksy style perfect for Jiminy Cricket ("Ding dong dingle, what a merry sound/ Ding dong dingle, Kris Kringle is in town"). Once Jiminy finishes singing the theme song, he presents the 1932 Silly Symphony cartoon, Santa's Workshop. He then attempts to introduce two favorites, Chip 'n Dale, but the chipmunks make a grand entrance even before Jiminy has finished introducing them. Wearing straw hats and carrying canes, this perky pair make like vaudevillians until Jiminy reminds them that they are on the show to tell how they spend the night before Christmas. 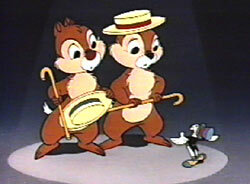 The song Chip and Dale sing at the the top of their sped-up voices is, "We Are Chip 'n Dale", by (again) Gil George and another veteran Disney composer, Oliver Wallace. The chattering chipmunks sang this song to great effect on another Disney episode, 1959's "The Adventures of Chip 'n' Dale." This leads to the cheeky chips battling Donald Duck around the Christmas tree in Toy Tinkers, an Oscar-nominated cartoon. 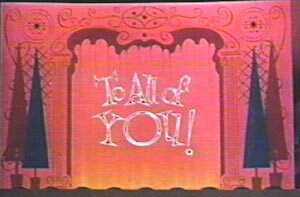 Cartoon shorts aside, the heart of "From All of Us To All of You" is the clips from classic Disney animated films. 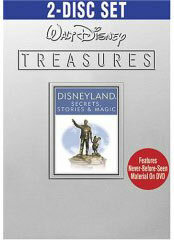 In the years before home video, Disney released its timeless animated films every seven years, and that was a long wait. 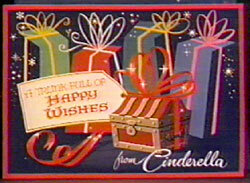 To the delight of everyone, this show presented a wealth of favorite scenes from the animated jewels in the Disney crown: Peter Pan, Pinocchio, Lady and the Tramp, Cinderella, Bambi and Snow White and the Seven Dwarfs (rereleased to movie theaters, incidentally, the year this show was first broadcast). Delightfully designed holiday cards are used to introduce each classic clip, for as Jiminy explains, "one of the nicest things that can happen this time of the year is to receive Christmas cards from your friends. Our gang would like to present their cards and through them share some memorable moments." she gets a party dress." In typical Disney style, there were variations in the presentation. 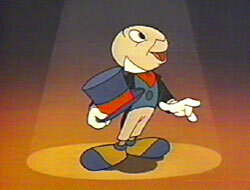 For the Pinocchio clip, Jiminy starts out as part of the card: he's a marionette, with Pinoke ("Hey, it's my old buddy!" chirps Jiminy) as the puppeteer. When Jiminy starts to introduce Snow White's card in verse, he's interrupted by Tinker Bell with an invitation from the Dwarfs' cottage. "An invitation to a party?" 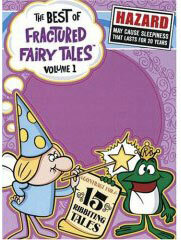 exclaims Jiminy, abandoning his poetry, " Hey this oughta be fun! Come on, let's go!" 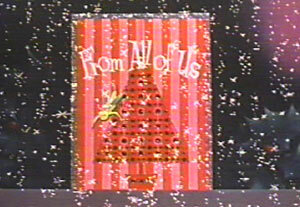 Unlike the annual broadcasts of TV holiday treats we have become accustomed to, "From All of Us to All of You" was not repeated each holiday season, which perhaps added to audience anticipation for its occasional encores. 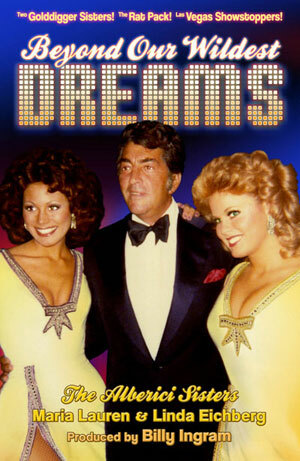 Adding to the interest, Disney "plussed" this already classic show with a brilliant, crowd-pleasing twist for the 1963 repeat broadcast. "Of course," as Jiminy explains, "no Christmas would be complete without a surprise gift," so he unwraps a present: a preview scene of the then-new animated feature, The Sword in the Stone. 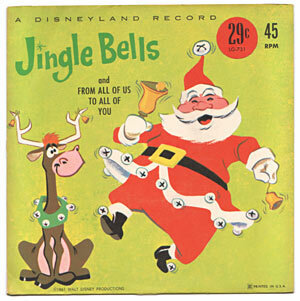 For nearly the next 15 years, whenever a new Disney feature was to be released, "From All of Us to All of You" presented a preview (Santa's Workshop was dropped to make room for this new segment). Both a show-stopping program element and a savvy example of Disney "synergy," these animation clips were eagerly anticipated. 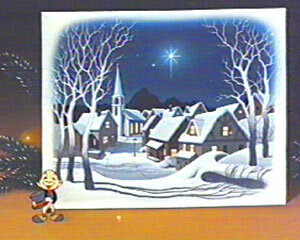 For a fitting conclusion to the holiday celebration, Jiminy stands in front of a card featuring art of a New England-like village complete with church and the Christmas star shining above the snowy scene to present his own "memorable moment": his signature song (and the unofficial Disney theme song), the haunting "When You Wish Upon a Star," here presented as a pseudo-Christmas carol, which as Jiminy says, "symbolizes faith, hope and all the things that Christmas stands for. 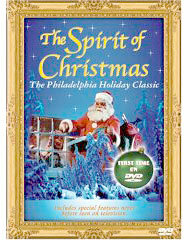 So this is my personal wish for you, something that can make Christmas everyday." Then (in a sampling from the Pinocchio soundtrack, and in animation reused from that film), Jiminy croons this Oscar-winning hit. 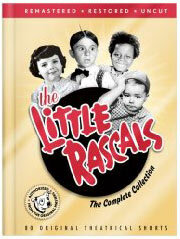 The legendary status of this beautiful song is due in no small measure to the soaring vocalization of Cliff Edwards. As Ward Kimball, the animator who designed Jiminy and animated this truly memorable moment (and another member of the "Nine Old Men") stated, "He made that song." The Disney company had quietly been paying Edwards' medical expenses, and even offered to pay for his funeral. In light of Disney's magnanimous support of their "Jiminy," the funeral was instead paid for by the Actors' Fund of America (which had also aided Edwards) and the Motion Picture and Television Relief Fund. A spokesman for the Actors' Fund, Iggie Wolfington, said at the time, " "I can't praise [Walt] Disney Productions enough for the way they continued over the years to look out for Mr. Edwards' well-being." 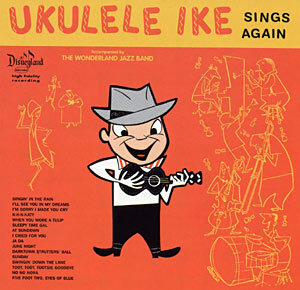 Some 13 years after Edwards' death, Disney provided a marker for the performer's grave when the lack of a proper headstone was reportedly brought to the company's attention by the Ukulele Society of America. In addition to his name, the marker simply reads, "In loving memory of Ukulele Ike." Cliff Edwards' legacy lives on in his timeless Disney performances, including "From All of Us to All of You." 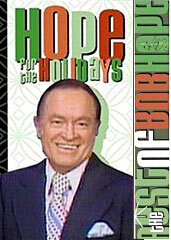 A new generation was introduced to this TV holiday tradition when much of it was repurposed into a 90 minute special entitled A Disney Channel Christmas, first cablecast on The Disney Channel in December 1983 (the Disney cable station's first holiday season) and released on home video as Jiminy Cricket's Christmas. 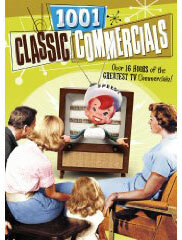 To create this "new special," more cartoons were added along with live-action segments of cherubic children looking in nostalgic shop windows, accompanied by the costumed Mickey Mouse from the Disney theme parks. 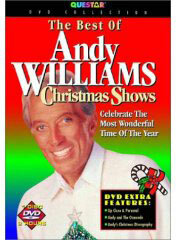 But this Christmas TV party all started on a December night in 1958, when there were only three networks, no home video or DVDs, and seeing Disney animation on TV was indeed a rare gift. The closing credits of this much-loved Yuletide broadcast put it best: "This special holiday program has been made possible by the combined talents of the entire Walt Disney Studios. 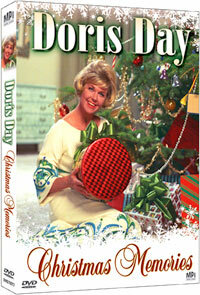 It is our way of saying 'Merry Christmas from all of us to all of you'." 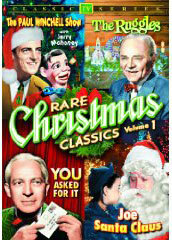 Edgar Bergen and his puppets appeared on Walt Disney's first TV special "One Hour In Wonderland" a Christmas special that featured a preview of Disney's feature length animated version of Lewis Carroll's children's classic "Alice In Wonderland" and some scenes from his many animated films. There was also guest appearances on that Christmas show by Kathryn Beaumont, the voices of "Alice" and "Wendy"; Bob Driscoll, the Voice Of "Peter Pan"; Hans Conried as "The Magic Talking Mirror"; and Mr. Disney's two daughters Sharon and Diane. "One Hour In Wonderland" aired in 1950. 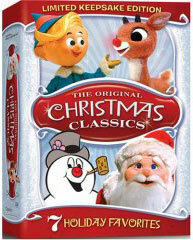 Highlights from Disney Christmas Specials! 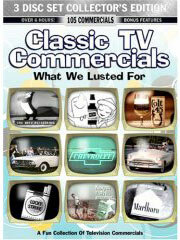 Classic TV Commercials / 1950's TV / 1960's TV / 1970's TV / Groucho vs William F Buckley / TV Games / Honey Boo Boo / Lucy Shows / Classic Cars / John Wayne / Gene Roddenberry / Rockford Files / Sea Hunt / Superman on DVD / Toy Gun Ads / Flip Wilson Show / Big Blue Marble / Monty Hall / Carrascolendas / Mr. Dressup / Major Mudd / Chief Halftown / What's In Oprah's Purse? 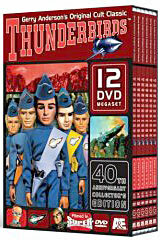 / Baby Daphne / Sheriff John / Winchell & Mahoney / Fireball X-L5 / Mr. Wizard / Captain Noah / Thanksgiving Day Specials / Disney's First Christmas Special / Saturday Morning Cartoons / The Magic Garden / Amahl & the Night Visitors / Holiday Toy Commercials / Lucy & Desi's Last Christmas Show / Joey Heatherton / Fat Albert / The Virginian / Bewitched / Death of John Wayne / 1974 Saturday Mornings / Chuck McCann / Rudolph Collectables / Shrimpenstein / Local Popeye Shows / New Treasure Hunt / 1966 ABC TV Shows / 1967 TV Shows / 1968 TV Shows / Ric Flair, Dusty Rhodes & Baby Doll / Fridays / TV Moms / Red Skelton / Star Wars / KISS / Lancelot Link / Saturday Morning Cartoons / The Magic Garden / Wonder Woman / Classic Comic Books / Andy Griffith / Cher / TV Shows on DVD / Outtakes & Bloopers / 1967 TV Shows / Romper Room / ABC Movie of the Week / The Goldbergs / Daws Butler Commercials / Saturday Morning Commercials / Captain Kangaroo / Chicago Local Kiddie Shows / Boston Local TV / Philly Local TV / NYC Local Kid Shows / Amos 'n' Andy / Electric Company / Bette Davis / Judy Garland / Christmas Specials / Redd Foxx / Good Times / Sitcom Houses / What's Happening! 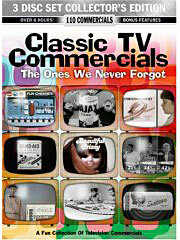 / Winky Dink & You / Sonny & Cher / Smothers Brothers / Commercial Icons of the 1960s / Soupy Sales / The Carpenters / Route 66 / Bozo / The Carpenters Christmas Specials / Local Kid Shows / Death of TV's Superman / Wonderama / Sesame Street / Bob Hope Specials / Little Rascals / 1980's Retro Gay T-Shirts / 1980's TV Wrestling / Fess Parker / Howdy Doody / TV Blog / Lost In Space / Pinky Lee / 1980's LA Punk Rock / Alex Toth Book / TV Terrorists / Irwin Allen / The Untouchables / Carol Burnett Show / Batman TV Show / Green Hornet / Today Show History / Our Gang / Doris Day Show / 1970's Commercials For Women / Bill Cosby in the 1970s / The Golddiggers / Lola Falana / 1970s TV Shows / David Bowie on TV / Hudson Brothers / Jackie Gleason / Hollywood Squares / Match Game / Bob Keeshan / Gumby / The Flip Wilson Show / Glen Campbell Goodtime Hour / The Bobby Darin Show / The Richard Pryor Show / George Burns / Lucy's Lost Christmas Special / Classic Christmas Toy Commercials / Cricket On The Hearth / 1950's Holiday Shows / Amahl and the Night Visitors / A Christmas Carol on TV / The Yule Log / Celebrity Commercials / Rudolph / Movie Posters & More!